Chemical and biological weapons conjure in the mind terror and have been repeatedly cited as a pretext for both acts of military aggression and even entire wars. Scenes of soldiers and civilians choking on toxic chemicals or covered in boils after exposure have been the stuff of nightmares both geopolitically and in fiction. While current chemical and biological weapons are far more limited than movies and politically-motivated narratives suggest, emerging biotechnology is making possible a new generation of biological weapons that may actually live up to the terror current weapons inspire. …advanced forms of biological warfare that can “target” specific genotypes may transform biological warfare from the realm of terror to a politically useful tool. The prospect that rogue scientists could develop bioweapons designed to target certain ethnic groups based on their genetic differences was raised this week in a report by the British Medical Association (BMA). The report, Biotechnology, Weapons and Humanity II, warns that construction of genetic weapons “is now approaching reality”. Such “genetic bombs” could contain anthrax or bubonic plague tailored to activate only when genes indicated the infected person was from a particular group. The topic of genotype-specific bioweapons has held interest across the West for decades. The Apartheid regime in South Africa attempted to produce biological weapons to induce infertility among the nation’s black population. In 1998 South Africa’s Truth and Reconciliation Commission held hearings investigating activities of the apartheid-era government. 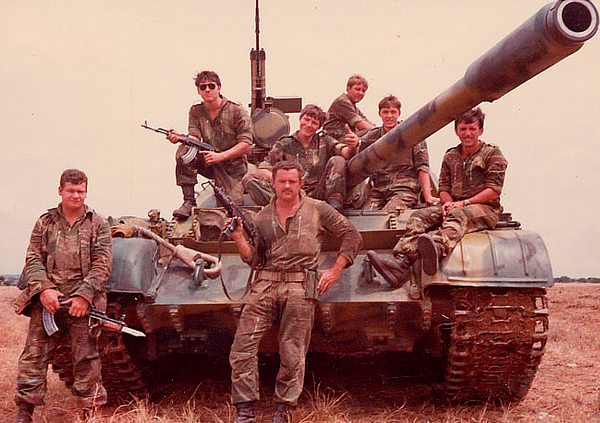 Toward the end of the hearings, the Commission looked into the apartheid regime’s Chemical and Biological Warfare (CBW) program and allegations that it developed a sterility vaccine to use on black South Africans, employed toxic and chemical poison weapons for political assassination, and in the late 1970s provided anthrax and cholera to Rhodesian troops for use against guerrilla rebels in their war to overthrow Rhodesia’s white minority rule. While South Africa’s entire CBW program was abhorrent, what is particularly frightening is the use of South Africa’s national vaccination program as a vector for infecting black women with viruses meant to sterilize them. 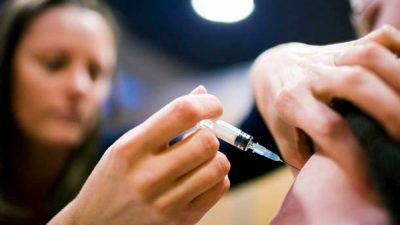 Now that vaccination programs are being pushed globally, there lies the danger that such weapons could be used against entire regions of the planet. Developed lethal chemical and biological weapons that targeted ANC [African National Congress] political leaders and their supporters as well as populations living in the black townships. These weapons included an infertility toxin to secretly sterilize the black population; skin-absorbing poisons that could be applied to the clothing of targets; and poison concealed in products such as chocolates and cigarettes. PNAC’s dream of genotype specific bioweapons then, is not some far-off science fiction future, it is something that has been pursued in earnest for decades and apparently by interests aligned to the West, not enemies of it. The JASON group, composed of academic scientists, served as technical advisers to the U. S. government. Their study generated six broad classes of genetically engineered pathogens that could pose serious threats to society. These include but are not limited to binary biological weapons, designer genes, gene therapy as a weapon, stealth viruses, host-swapping diseases, and designer diseases. Another significant gene therapy outcome was the mousepox virus experiment in Australia. Researchers inadvertently developed a lethal mousepox virus while attempting to prevent the plague, within the mice population. This genetically altered virus attacked the immune systems of the experimental mice; it killed all of them. Researchers also found that sixty percent of those mice previously vaccinated died within days of exposure. Although this was unintentionally created, if the same modified virus was added to smallpox, it could present the same lethality for humans. The basic concept of this potential bioweapon is to “produce a tightly regulated, cryptic viral infection that can enter and spread in human cells using vectors” (similar to the gene therapy) and then stay dormant for a period of time until triggered by an internal or external signal. The signal then could stimulate the virus to cause severe damage to the system. Stealth viruses could also be tailored to secretly infect a targeted population for an extended period using the threat of activation to blackmail the target. The most worrying aspect of these next-generation biological weapons is how they might be delivered to a targeted population. With South Africa’s Apartheid government using its national vaccine program as a vector for genotype-specific biological weapons and with current international vaccine programs dominated by Western pharmaceutical corporations and foundations, efforts to infect entire nations or regions of the planet with dormant stealth viruses is a very real threat. Vaccine programs in the US for example, particularly the flu shot, are suspiciously promoted with unparalleled enthusiasm by governments and the private sector they are partnered with who are otherwise disinterested in the health and well-being of the American population. Vaccines are distributed widely, even freely in neighbors lacking even basics like clean drinking water and viable education programs. 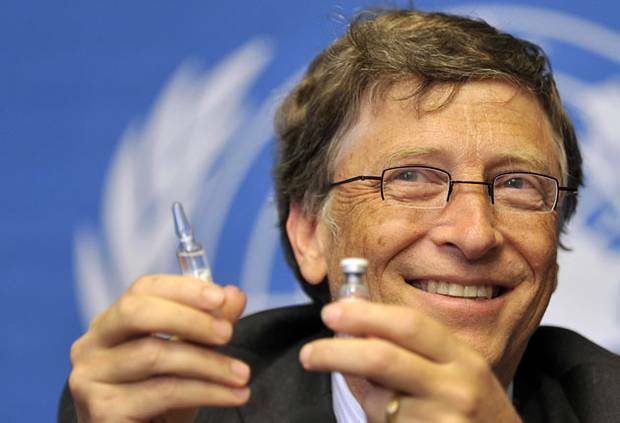 Such vaccine drives are being promoted elsewhere, beyond America’s borders, creating the perfect conditions for both centralizing and controlling ideal vectors for the biological weapons described by the US Air Force assessment. As humanity’s collective understanding of human genetics improves, the ability of weapon developers to target aspects of our humanity governed by our biology more precisely, including our very temperament and intelligence, will only improve. Besides targeting a foreign nation’s population in the context of foreign wars and conquest, such weapons could also be used domestically to induce enhanced obedience and subservience. Until nations and even communities take full responsibility for the state of human healthcare within their respective boundaries, including the independent development, production and distribution of pharmaceuticals and vaccines, this threat will only grow. Nations who are equipped to handle biotechnology are likely to consider gene therapy a viable bioweapon. Groups or individuals without the resources or funding will find it difficult to produce this bioweapon. Of course, not only will nations without the resources or funding to handle biotechnology be unable to produce such biological weapons, they will also be absolutely unable to defend against them. Defending against biological weapons using gene therapy either directly or as stealth viruses requires national healthcare and defense infrastructure to be able to quickly read, write and edit genetic information. Suspected victims of genotype-specific bioweapons would require having their genes examined through modern genetic sequencing, and countermeasures synthesized in the same manner gene therapy-based biological weapons are. If DNA can be edited maliciously, it can be re-edited to correct malicious code. Thus, the development of a nation’s biotechnology infrastructure is not merely a means of taking advantage of possible scientific, human health and economic opportunities, it is also a matter of national defense. Identifying and closing off the possible vectors of biological weapons, specifically vaccines and pharmaceuticals produced by Western monopolies, not only further enhances security, but encourages the local development of alternatives producing economic benefits to nations that undergo this essential transition. Nations like China are already investing heavily in genetics and possesses infrastructure that could easily lead to a robust biological and genotype-specific weapon defense program. Other nations would be wise to follow suit. Just as is the case regarding information technology and even conventional weapons, nations that lack self-sufficiency in biotechnology are exposing themselves and their populations to external threats materializing before their very eyes and wielded by eager aggressors in the West already engaged in conventional and cyberwarfare globally.